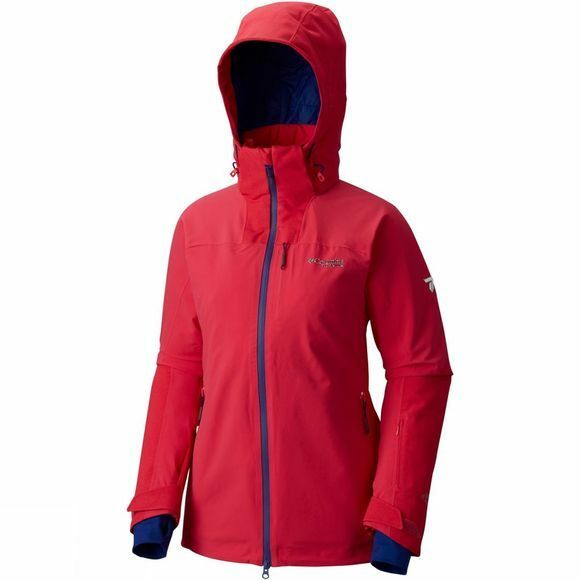 Columbias thermal reflective lining meets waterproof fabric in this breathable and fully seam-sealed, high-end jacket. 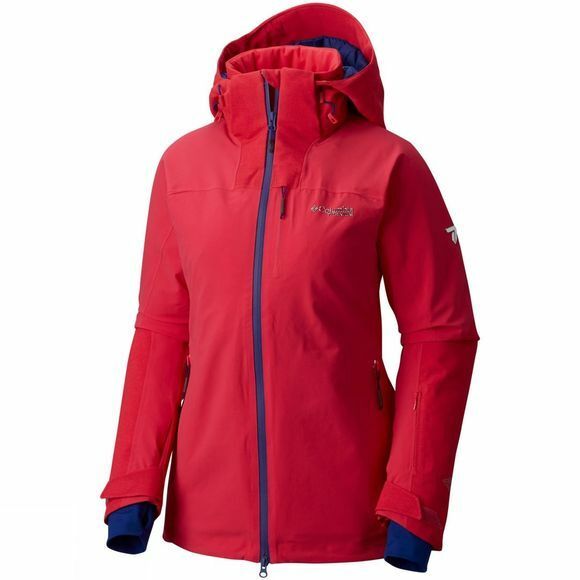 Stay warm and insulated whichever snowy mountain trail you're skiing, thanks to its sophisticated 4-way comfort stretch and a jacket and trouser connector to seal out the cold. Be practical with its handy ski pass, goggle, and media pockets, whilst an adjustable storm hood and 2-way PU centre front zipper are useful extras. Underarm ventilation prevents you from overheating and regulates body temperature when you need it most. Removable, adjustable, helmet-compatible storm hood. Light Rail zipped chest & hand pockets.